It's the start of summer, and there's no better time to enjoy the sunshine and check out your local farmers' market! In part 2 of our series profiling markets all across Canada, Farm to Table has set its sights on Quebec, Manitoba, Prince Edward Island, Nova Scotia and Newfoundland to explore some of the best markets that they have to offer. With over 100 vendors selling everything from produce to baked goods to handmade soap, Le Marché St. Norbert Farmers’ Market is a great place to check out on the weekend to pick up everything you need. And everything is produced in Manitoba! As Manitoba’s largest farmers’ market, it has become an important community gathering place over the years and has amazing weekly events and live music. St. Norbert's has an online market, which allows customers to pre-purchase products online and pick them up later, ensuring you get exactly what you want every visit. Phillip Veldhuis, a beekeeper who operates Phil’s Honey, says he has built a steady stream of regular customers over generations through working at the market. "I sell honey to the grandchildren of customers from my youth. We have done this since I was a poor student. I am neither now, but we can't stop," says Veldhuis. Jim Lintott from Lintott Farm sells grass-fed beef, and St. Norbert's has allowed him to create a market for his product that is new and normally in short supply. His relationship with his regulars is what motivates him and also helps him improve his product. "The customers we have are very appreciative of what we do environmentally and the compliments on the product are important in keeping us moving forward. The feedback is very important and we keep that in mind as we select cattle genetics and manage our farm," says Lintott. Be sure to check out the market's harvest schedule on their website so you know what’s in season when you go. 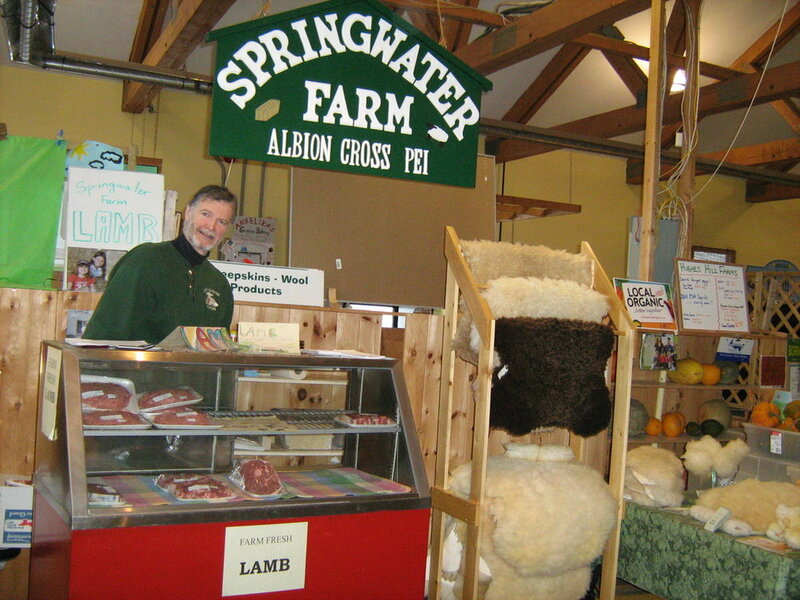 Over forty local farmers, craft & food artisans and producers gather at Charlottetown Farmers’ Market, Prince Edward Island’s original and biggest farmers’ market. 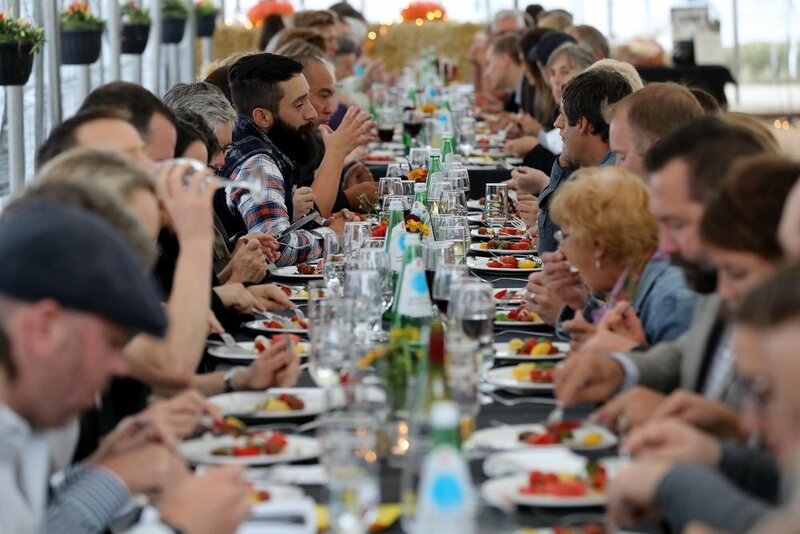 While all the food is local, the flavors are international. You can get authentic international cuisines such as African, Mexican, Polish and many more. You can also get products from local artisans such as handmade jewelry, wood carvings, crafts, natural soap and body care products and much more. Check them out every Saturday from 9 a.m. – 2 p.m.
St. John’s Farmers’ Market is celebrating its 10th anniversary this year, and has a pretty interesting history. 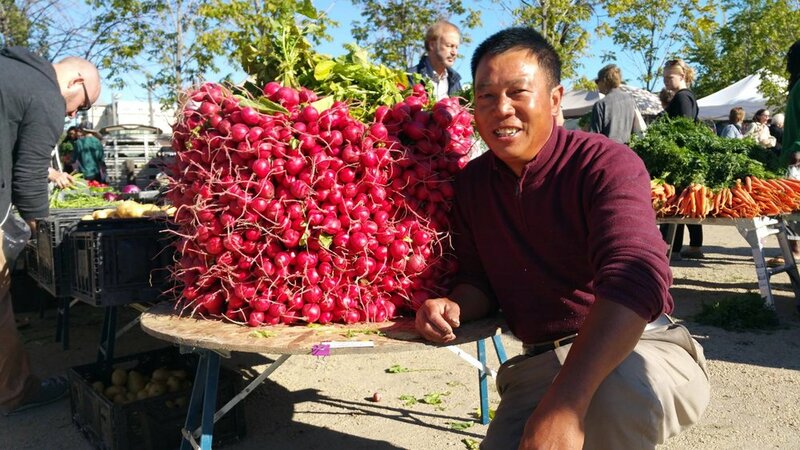 Starting as just a single farmer selling excess produce, the first market was a huge success, attracting over 500 customers! A regular farmers’ market was created in response to the huge turnout. It has grown over the last decade to have over 30 vendors, selling fresh produce, baked goods, prepared meals, specialty foods and art and antiques. The Halifax Seaport Farmers’ Market is almost as old as Halifax itself! It was originally established in 1750, making it the oldest continuously operating farmers’ market in North America. In 2010 the market relocated to the Halifax Seaport where it hosts over 250 vendors on the pier. The market itself is nestled in the arts and culture district, making it a great meeting point for a wide variety of culture and communities. David Greenberg from Abundant Acres Farm has been operating at the market for four years. As an organically certified producer, he says one of his favorite aspects of the market is the direct feedback he gets from his customers. "I've had people come up to me and tell me that after consistently eating my food they feel healthier," says Greenberg. Lachute Farmer’s Market has been around since the 1950’s, and also houses a flea market as well as a horse auction! Tuesday is the big day to visit this market as all the vendors are open for business, while a smaller portion of the market opens on Sundays. The Market consists of two restaurants, a large indoor antique mall with 20 vendors year-round, one inside-bar and one bar outside for summer entertainment with live music.